We’ve all experienced the scenario: The new kid who just moved from out of town, awkwardly passing by. Or, the one child sitting away from the others, wanting to play, but not knowing how to join. 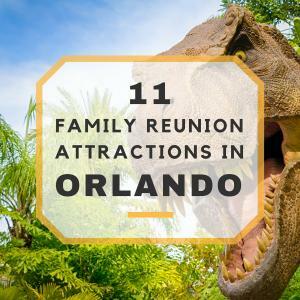 How about a cousin who is visiting from out-of-state for the first time? Everyone knows someone who is a little shy. Some kids are super social and can make friends in minutes, while others are introverts and need a little help in communicating with others. No matter how different each child may be, they all have one thing in common–they like to have fun! Fun is a universal “language” to children. Some children express themselves with words, others use body language, expressions or an outward display of emotion. Setting up plenty of fun activities that involve teamwork is a great way to engage kids of almost all personality types! Another thing that works particularly well if you’re looking for simple icebreakers is using guided conversation. What is guided conversation and how does it help? Guided conversation is simply a way to take control of a conversation in an effort to get the dialogue rolling. Kids might have a hard time finding a common ground at first, especially if they’re shy. Guiding kids towards conversation topics they all can enjoy can pave the way for them to get comfortable with one another. Let’s move on to some ideas for icebreaker questions for kids! 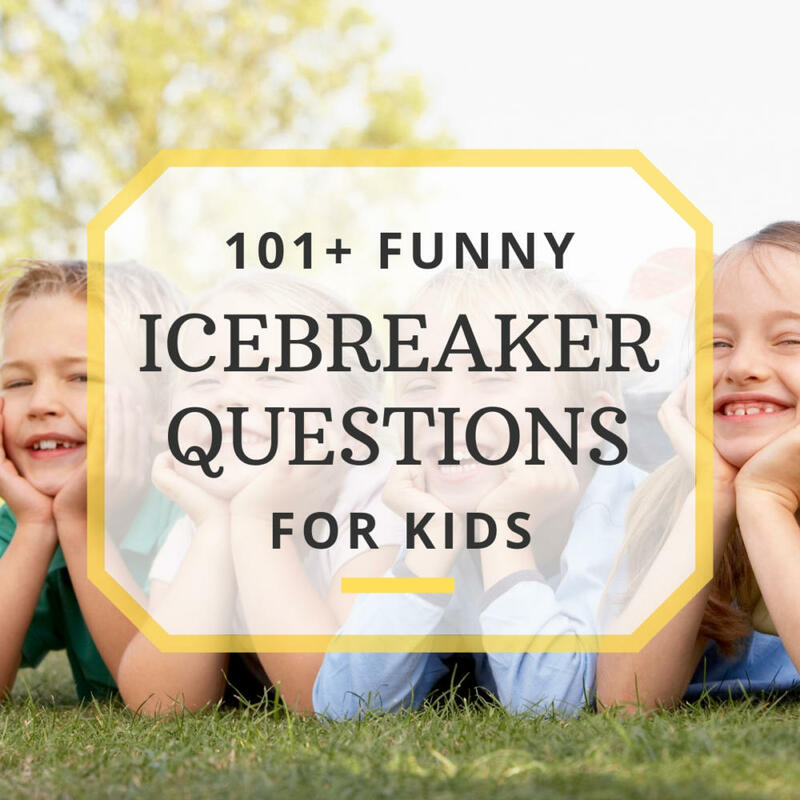 Whether you’re here looking for ideas for a new class or to help children bond at a family function, here are some kid icebreaker questions that can get them chatting! Do you like the music your parents listen to? What is one song you know all the words to? What kind of music makes you want to dance? What is your silliest dance move? What cartoon character do you wish was real? What social media apps do you use? If you could ask your favorite celebrity anything, what would you ask? What shows did you watch as a preschooler? Do you play any card games like Pokemon or Magic the Gathering? What is your favorite sport to play or participate in? Have you ever been part of a sports team? Is there was any sport you could perform in the Olympics, which would you choose? Have you ever been to a professional game? Can you catch a baseball? Can you throw a football? Can you hit a golf ball? Do you go to school games to show team spirit? Do you know how to fish? What’s the biggest fish you ever caught? Do you know how to hunt? Have you ever shot a bow and arrow? What subject is your favorite? What subject is your least favorite? What subject do you work best in? Have you ever been a part of student council? Have you ever been a boy scout or girl scout? Would you ever dress up as the school mascot? Have you ever been in trouble in school for anything? Are you more of a morning person or a night person? What’s one thing that recently made you laugh? How do you feel about pickles? You find a stray kitten, what do you do? What is a candy flavor that you think shouldn’t be a flavor? What’s the best chip flavor? What is the best Starburst flavor? Ketchup, mustard, both, or neither? What toppings do you like on pizza? What’s the best season and why? Who has the best burgers? Who has the best macaroni and cheese? What’s your favorite thing to drink? What does your favorite t-shirt have on it? If it was raining tacos, would you eat them? Where would you want to go in the world if you could go anywhere? Can you do an impression of someone famous? What candy best describes who you are inside? If you could have someone play you in a movie, who would it be? You’re at Taco Bell, what do you order? Free day off of school, what do you do all day? If you had a superhero ability, what would it be? Animal voice swap: Which two animals would you have swap sounds? Would you rather take a train, plane, or boat somewhere? Pick 3 animals to put together to create a new animal. Which animals would you pick? What would you name your new animal? Oreos wants to make a new grossest flavor cookie. What flavor would you pick? Feel out your crowd to determine which types of questions to ask. For instance, you probably don’t want to be asking little kids about crushes or older teenagers if they prefer Sesame Street or Barney. You can choose to actively participate in the conversation, guiding it when you feel it’s needed, or you can turn it into a game. Each player starts with 10 poker chips (toothpicks, rocks, marbles, 10 of something). The object of the game is to get rid of all of your chips as fast as possible. The game begins when a player draws a question from the hat and answers it and puts a chip in the middle. You can choose to pass but you must take a chip. If the question is passed, another person can “steal” the question by tossing a chip in the middle then giving their answer. The game is played in clockwise order around the room. Truth or Dare is an oldie, but a goodie! Each time it is your turn, you pick truth or dare, then you have to either answer a question or act out whatever dare is brought upon you! This is probably best saved for the older kiddos or teens. Who doesn’t love the game Jenga? Put a fun icebreaker spin on the game by writing a question on each one. Whichever piece you pick out, you have to answer! 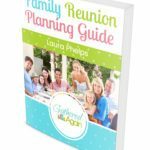 For even more icebreaker game ideas, check out our list of 101 family reunion game ideas! Another fun way to get the kids to answer icebreaker questions is to offer incentives. Have a bowl of candy and each answer will earn them a piece of candy! I mean, do you know any kids who don’t like candy or other sweets? If you’d prefer something with some nutritional value, lean towards something like chocolate covered strawberries or nuts (consider allergies). 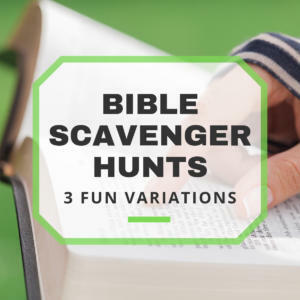 If you want to play it really safe, offer money (think a cool dollar coin or a $5 bill) or small prizes instead for those who answer the most! If you do decide to offer an incentive, keep it minimal; the goal is to get the children to communicate with each other, not fight over some big prize. Once you have the kids feeling comfortable and chatty, your mission is complete!